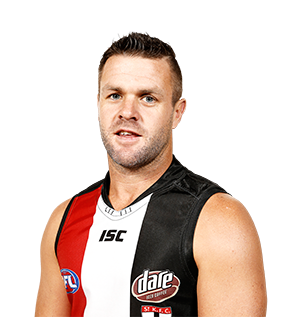 A clever small forward, Schneider arrived at St Kilda via a trade with Sydney at the end of 2007. A range of unfortunate injuries that were unrelated to the soft tissue troubles of 2013 limited his output in 2014, although the left footer did manage to play 13 matches including the last eight of the season. The ex-Swan was more than a handy contributor on a number occasions, but he saved his finest performances for the Lenny Hayes Tribute Game in round 18, registering 24 touches and booting a goal in the upset win. Schneider was delisted and selected as a rookie in early December. We know Adam is an elite decision maker, has elite skills and is a seasoned campaigner. He was excellent this year with the ball and played a significant leadership role with some of the younger players to. He’s very good at directing traffic. A lively forward flanker with a keen eye for goal, Schneider arrived at St Kilda at the end of 2007 from the Sydney Swans. Unfortunately 2013 was much the same as 2012 in regards to his injury struggles, playing just five games after eight the year before. However Schneider was prolific when he did pull on the red, white and black guernsey, booting three goals against Hawthorn in round 20 and collecting 21 disposals against Hawthorn the following week. With Stephen Milne retired, Schneider shapes as an important figure in 2014. 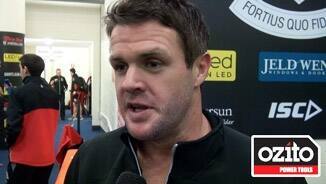 A premiership player and a lively forward-flanker, Schneider came to St Kilda at the conclusion of the 2007 season from the Sydney Swans. His 2012 season was marred by various injuries, and as a result the left footer only managed to play eight games. 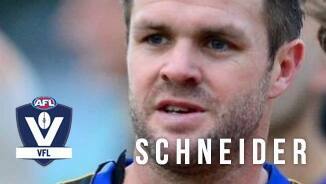 Despite this, Schneider’s importance to the Saints is unquestionable, and providing he remains fully fit, will be a pivotal member of the forward line in 2013. Adam Schneider was originally drafted to the Sydney Swans in the 2001 National AFL Draft as a fourth round selection, #60 overall. He made his AFL debut in 2003 and was an AFL Rising Star nominee that same year. Among his achievements, Adam played in Swans’ premiership side in 2005 and the 2006 International Rules Series. He played 98 games for the Swans, kicking 99 goals until he was traded to the Saints at the end of 2007. 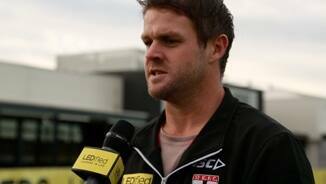 The speedy half-forward has been a key contributor to St Kilda’s success in recent seasons. He is always dangerous when given half a chance, and kicked a career-high 39 goals for the season last year. Adam led the Club for goal assists and posted a career-best 30-disposal game in round 19 against Port Adelaide. Off the field, Adam has two children to his partner Nikkita. A two year old son named Koby and he recently welcomed a baby girl named Maya in the week before the 2012 Round 1 game against Port Adelaide. A hamstring strain ahead of Round 1 will delay Adam’s season debut.